Hope you all had a lovely weekend! Today I'm sharing with you a layout that I created using the Carols of Christmas bundle and the Be Merry DSP from the annual catalogue. I love these two products together! The traditional page came together really quickly and is a great layout to use up some scraps of dsp. We always end up with lots of strips of patterned paper in varying lengths and widths - this is just one of the many ideas to use up some of those strips! This isn't the best photo because of all the glare but you can see the important bits:) This will be the facing page in my album. It's so fun using traditional supplies in pocket pages. 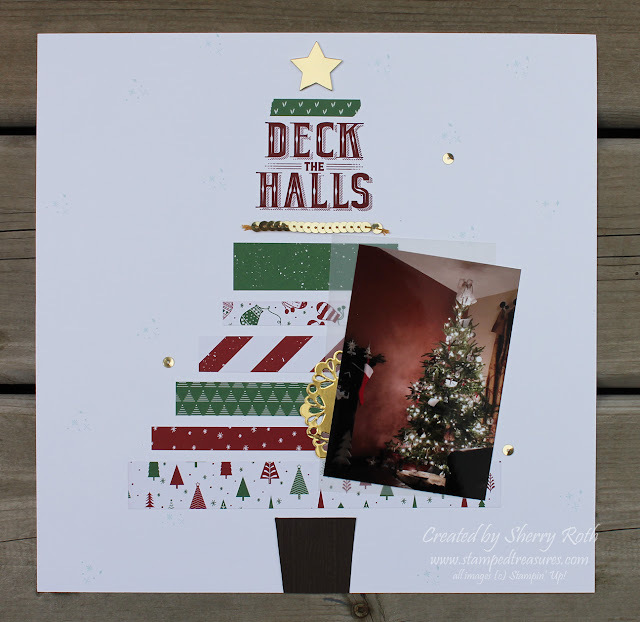 Each one of the pockets is almost like creating a card. If you have lots of photos on your phone, on your computer or in boxes, it's time to get them into albums so that you can enjoy them! I'd love to help you with that! In September I'll be starting another round of my M&M Club (Memories & More). 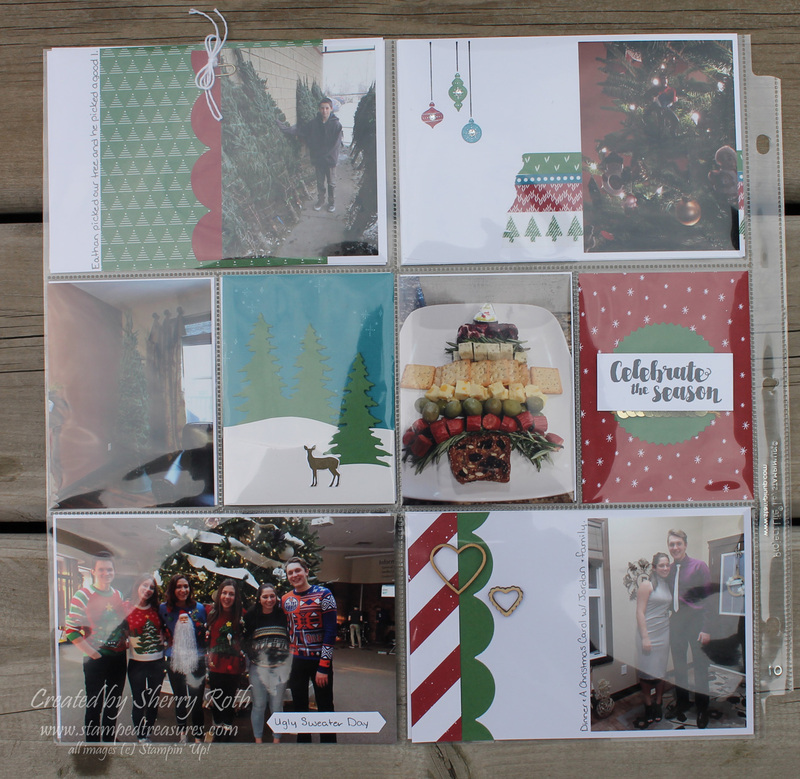 It's a great way to get those photos into albums without feeling overwhelmed! I've filmed a short video going into more details on what you will receive and how it works. ANYONE across Canada can participate! Here are all the details if you don't want to watch the video. Join the Memories and More Club and preserve those memories so that you and your family can enjoy reliving those moments. meet once/month for 4 months (Sept. - Dec.) - that's just a couple hours each month. available in person or by email to anyone living in Canada! each month we create one 12x12 traditional layout and 3 pocket pages using the supplies you receive at the first class and a few extras. That's two 2-page spreads each month! That's a lot of memories captured! 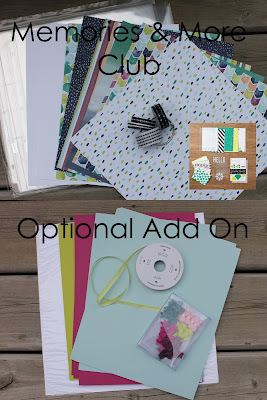 BONUS: Tutorial featuring the use of these supplies to create additional layouts, pocket pages and cards ($25). Note: Bonus tutorial will be sent to those who purchased the add on, after the our first session in September. Registrations are open until September 4th. Reserve your spot today!